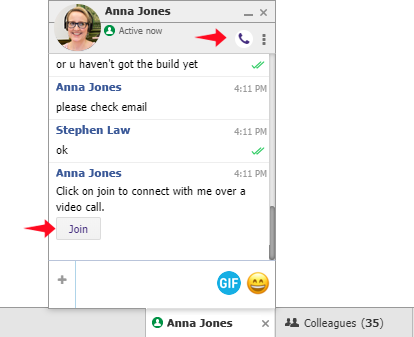 Office Chat version 2.12 has been released on June 15th all office chat users world-wide. This release includes the following new features & improvements. 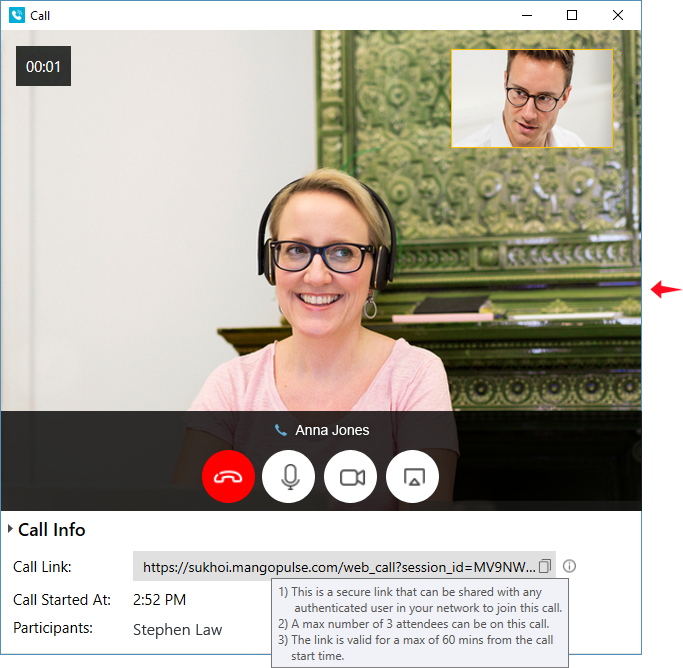 Starting June 11 and rolling out over the next few weeks, Office Chat users will get voice, video calling and screen sharing with any co-worker in their list. You can use the new voice, video calling & screen sharing feature by just clicking on the phone icon available on all private chats. 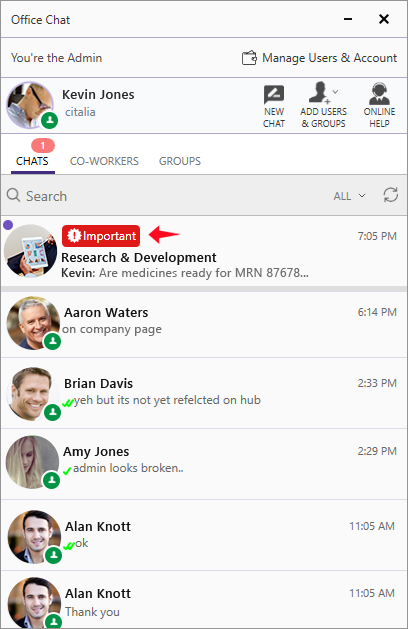 If you don’t see the phone icon please ask your admin to enable it from the admin portal (under Integrations > Huddle option). No need to switch applications, download plugins or interrupt your flow in any way. Screen sharing in the browser just requires you to download a one-time chrome extension that takes < 30 secs to install. 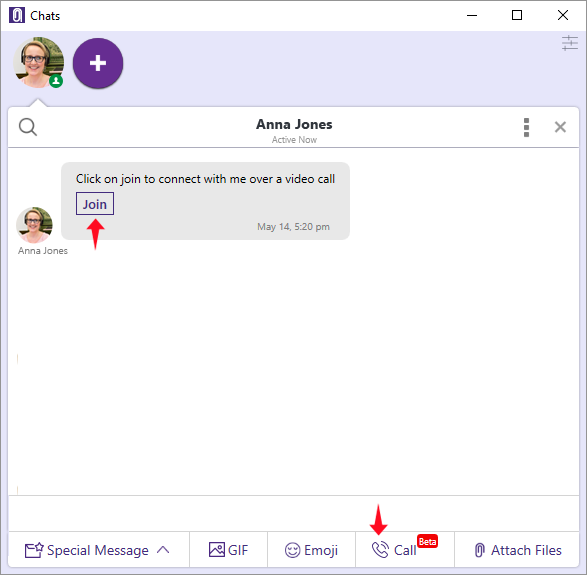 At this time we are supporting 1-to-1 voice, video & screen sharing in your private chats but with the added ability to share the URL with a 3rd co-worker to join the call. 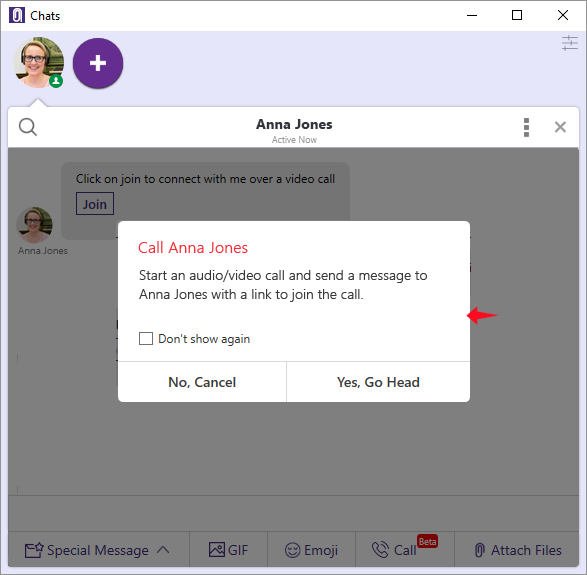 Additionally, you can join an existing 1-to-1 voice, video & screen sharing call from both iOS and Android Office Chat Apps. This is a BETA launch of the feature and at this time allows a max of ~1800 subscribed minutes(*) / per month of calling time for your entire domain. This is approx. 10 – 15 hours of calling time / per month depending on the no. of participants in the call at no additional cost at this time. Mark a message as Important: Marking a message as important keeps the message at the top of recipient’s inbox with a red label marked as “Important” until they are read. Additionally it generates a special notification sound to get the recipient’s attention overriding all mute settings. Mark a message to Self Destruct: Marking a message to self destruct enables the message to be automatically deleted (in 2 mins) after it has been read by all the recipients. This feature can be turned on or off by the domain admin. Set the message to have a Special Effect: You can choose from two special effects that can be set along with your message. The recipient will experience the special effect when they view the chat. The two special effects include the a) Balloon effect and b) Graffiti effect. Additionally specific english words like ‘happy birthday’ and ‘congratulations’ (or ‘congrats’) are automatically sent with a special effect. 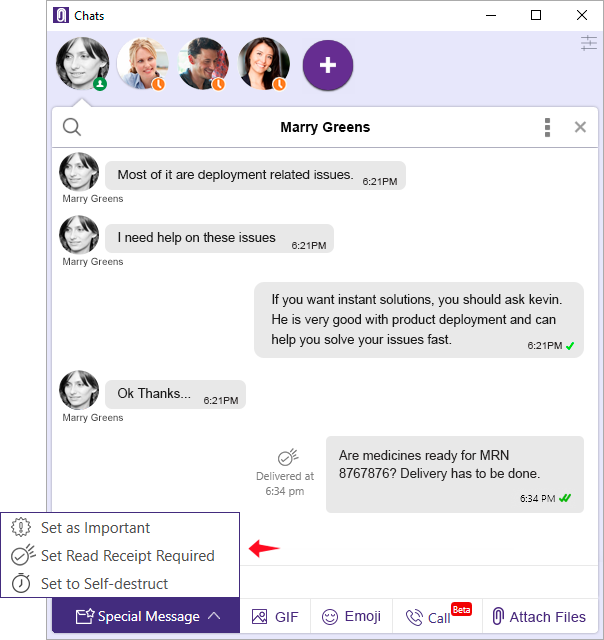 The special effect feature is currently available only in the latest office chat iOS app. Special Messages: Ability to set a message important, self-destruct after it’s read, require a read receipt and have a special effect are options you can set from here. 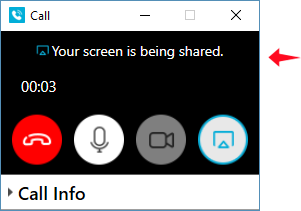 Call: Voice, video and screen sharing call in private chat can be made from here. Attach Files: Attach multiple files from your PC or MAC from here. Chat window CPU requirements are reduced by 40% in this latest version compared to the older versions. Improved connection management, faster detection of connection status and automatic re-try mechanism has been added. 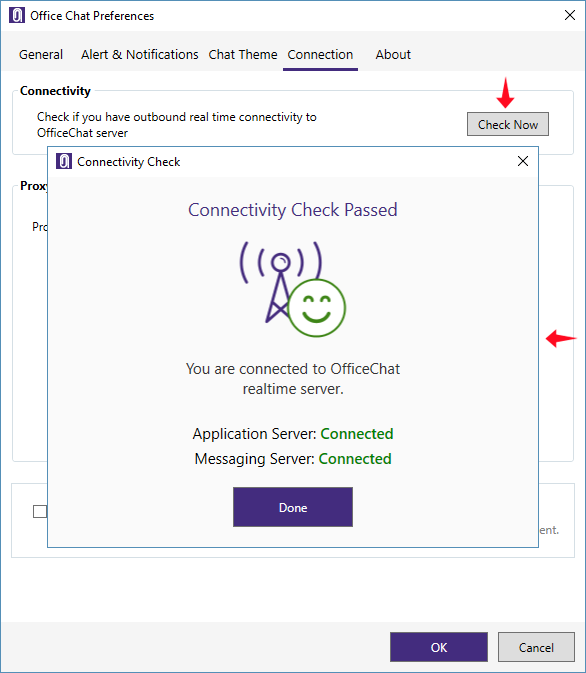 Connectivity check dialog UI has been improved to report status for both application server and messaging server. Hyper real time setting option has been removed. Ability to re-send a message will now be available to the sender of the message. UI for system messages on iOS app has been simplified. (*) Voice, video & screen share: In a 15-mins session with 2 participants on a call the total number of subscribed minutes will be (2 x 15) which equals to 30 subscribed minutes.